My friend Simon took me to the Basically Johnny Moped film premiere & gig at Koko. 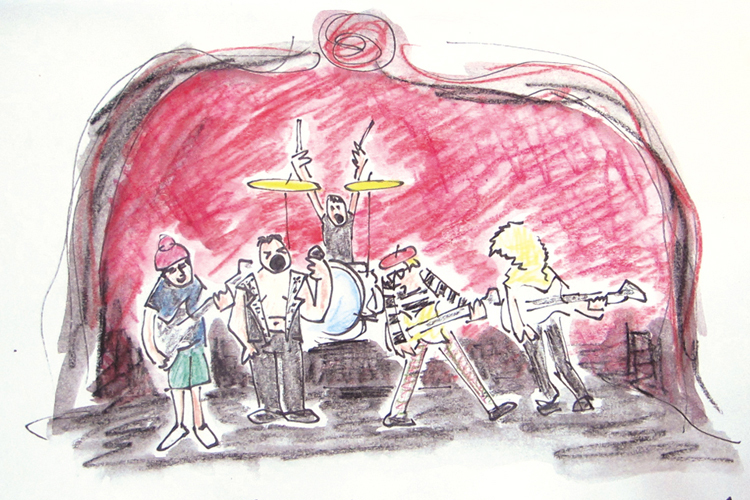 After I did this drawing I wrote a review of the gig for my work’s blog and used this drawing to go with it http://backstagepassmusic.tumblr.com/ the people who made the film saw the blog and they put it on their facebook page. A few of the comments were people complaining that I’d missed out Rob. 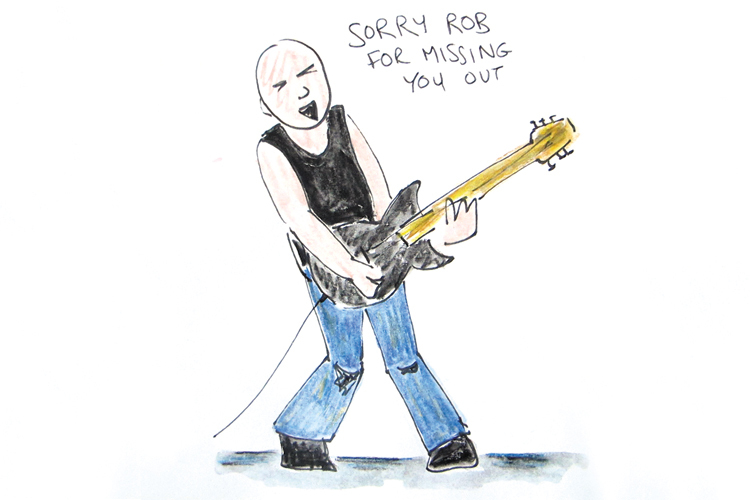 Because I draw from memory, sometimes stuff gets left out, but I felt bad that I’d left out Rob, so I found some footage on the internet of the concert and then drew Rob his own picture.